mr.bob is a tool that takes a directory skeleton, copies over its directory structure to a target folder and can use the Jinja2 (or some other) templating engine to dynamically generate the files. 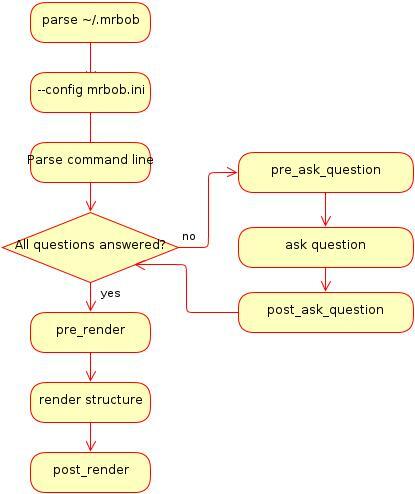 Additionally, it can ask you questions needed to render the structure, or provide a config file to answer them. mr.bob is meant to deprecate previous tools such as paster (PasteScript) and templer. © Copyright 2012, Tom Lazar and Domen Kožar. Created using Sphinx 1.1.3+.